It is only natural to be anxious over moving day. There are so many things that need to be kept in mind and so many ways things can go wrong. Even if you do call upon family or friends for help, you will always be on the edge about whether your stuff is being packed right or carried carefully. After all, there is not much you can do about a scratched cabinet or a broken vase. So wouldn’t it be nice if you knew someone you could trust with the job and be assured that everything down to the last detail would be taken care of? How wonderful if you didn’t have to move a muscle but found yourself settled into your new home without fuss at the end of the day? 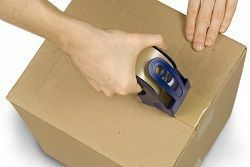 If this is what you are looking for, get in touch with Moving Service, the best removals services in Chessington, KT9. With so many years in the removals services, we have grown into a business that provides professionalism at all times. At Moving Service, we know we are dealing with people more than things, this is why you can rest assured that your belongings are being taken care of by some of the most professional and careful people in the business. Our work is always in accordance with some of the highest standards set in the industry and we pride ourselves in the professionalism, timeliness and security with which we deal with each job. Why don’t you give us a call at 020 8746 4402 and find out first hand why we are worth everything we claim? The area covers the postcode district of KT9 and is in the Royal Borough of Kingston upon Thames. The town is divided into two parts, North and South, and both are well connected to central London. The two railway stations of Chessington North and Chessington South have trains to Waterloo almost ever half an hour. Besides, there are a number of bus services that serve the route daily, including the night bus 65. Some of the major motorways such as M25 and A3 are easily accessed from this area. It offers all aspects of suburban living with easy access to the central city when required. The World of Adventures here offers a wide range of countryside activities which involve a zoo, a theme park, an aquarium and a few hotels. The area is also replete with many open spaces including the area’s Countryside Walk which is part of the London green belt. In all, living here can be both relaxing and interesting. Whether you are moving a box full of stuff or a five bedroom house, we have all the services that will take care of every aspect of your move to Chessington. If it is just a moving van you require, we will be glad to provide a range of purpose-built vehicles and a choice of extra helping hands to help with loading and unloading. If you want us to take care of the move entirely, not only will we do all the work from packing and moving, but also arrange the supplies and insurance. We believe in going out of the way to help our customers so after removals in Chessington, KT9, we will even remove the excess packing material that you don’t need! Our customer service team is extremely friendly and would be glad to answer any queries you might have about the process. So give them a call at 020 8746 4402 and let them help you enjoy stress-free house removals. A fast and speedy moving company in Chessington KT9, Moving Service met my expectations.